Galloway with Photos of Close Friends. Standing up for Vladimir Putin and Donald Trump is a hard task these days. But – hold the Front Page! 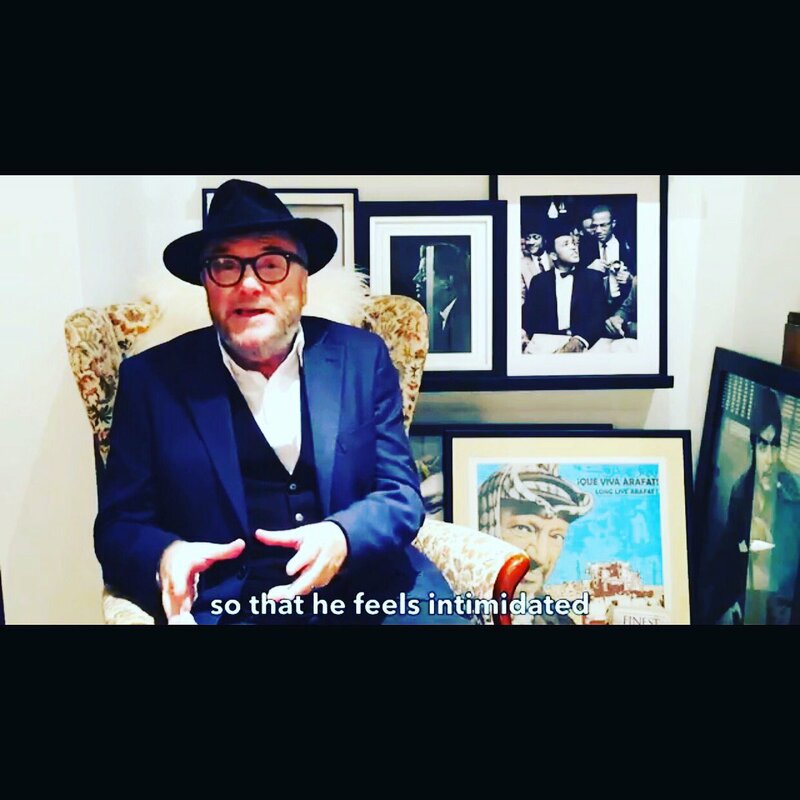 – without fear or favour George Galloway has leapt to their defence. As his employer Russia Today notes. The credibility of a BBC documentary about US President-elect Donald Trump called ‘Trump: The Kremlin Candidate?’ has been questioned by ex-MP George Galloway. Speaking to RT, Galloway also questioned why the BBC would commission such a prominent show when there was no concrete evidence to back up any of the assertions. The Panorama documentary was broadcast on Monday and saw journalist John Sweeney travel to Russia, Ukraine, and the US to investigate whether Moscow’s cyber-warriors influenced the US election and whether it’s true the Federal Security Service (Russian FSB) is blackmailing Trump with compromising material. The latter claim comes from a much-hyped dossier compiled by ex-MI6 spy Christopher Steele. In the broadcast, Sweeney also speculates that the only thing worse than Trump getting along well with Putin is if they don’t. “As Shakespeare once put it, it was ‘much ado about nothing.’ The thesis of the problem was that it is really dangerous if Trump and Putin get along well and it’s really dangerous if they fall out,” Galloway said. Neo-Stalinism meets the Alt-Right; farcical re-enactment of Molotov-Ribbentrop pact. Re-tweeting Atzmon is a very very bad sign.